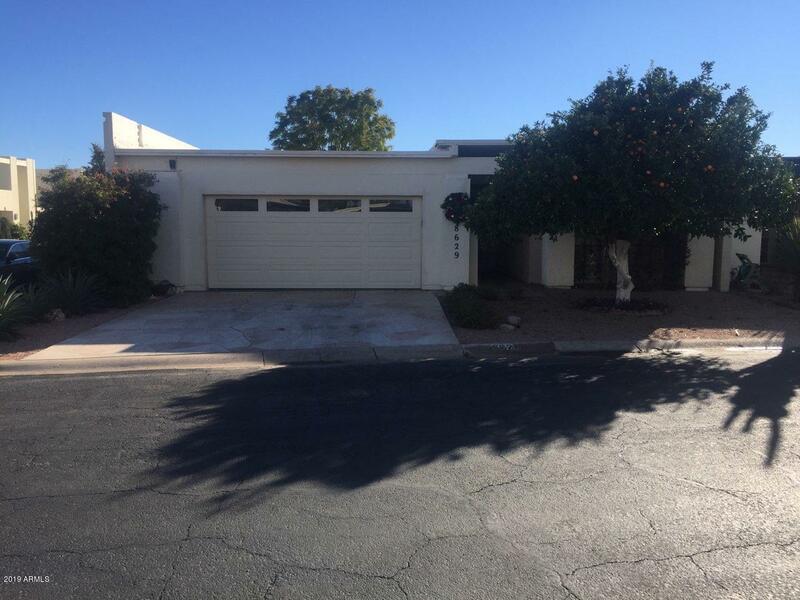 All SANDS EAST TOWNHOUSES homes currently listed for sale in Scottsdale as of 04/23/2019 are shown below. You can change the search criteria at any time by pressing the 'Change Search' button below. 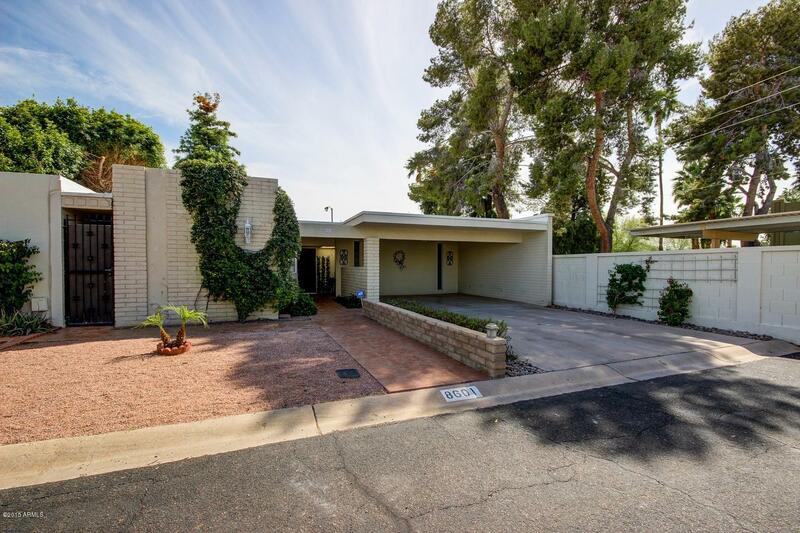 "OWN A PIECE OF SCOTTSALE'S HISTORY HIGHLY SOUGHT AFTER LARGE SINGLE STORY PATIO HOME IN SANDS EAST. PRIME LOCATION AND PRIVATE CORNER LOT WITH GREAT BACKYARD AND CUSTOM PATIO STEPS AWAY FROM SCENIC POOL AREA**HUGE L.R. & D.R. COMBO WITH AWESOME BRICK FIREPLACE**VERY LARGE EAT-IN KITCHEN*LOTS OF CABINETS**SEPARATE DEN/FAMILY ROOM**PROFESSIONALLY SCREENED GARDEN ROOM**SPLIT MASTER BRM WITH WALK-IN CLOSET + ADDITIONAL CLOSET**SEP LAUNDRY ROOM**PLANTATION SHUTTERS**LARGE SECONDARY BEDROOMS**TONS OF"
"**Below market mid century very nice spacious two bedroom single level home with over 2,000 sq. ft. Oversized bedrooms with plenty of light from sliding glass doors in master & living area. Tile kitchen countertops, travertine flooring, neutral carpert, split master bedroom with large walk-in closet. Atrium off the kitchen and separate laundry room/storage. Also has nice covered patio in back! Close to 101 Freeway, Old Town, shpping, restaurants, parks and golf! Heated community pool! Newer A/C"